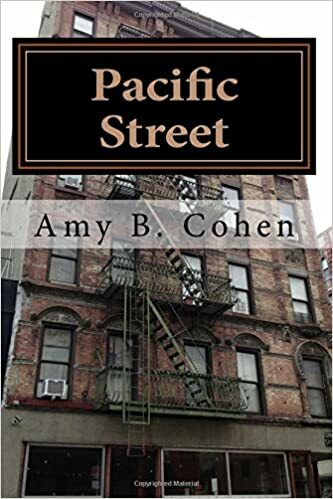 I am taking a short break this week from the Schoenthal story to return to a mystery I discovered in the Nusbaum family line. Back in April I wrote about the strange disappearance of Celina Nusbaum, my second cousin, three times removed. Celina was the granddaughter of Ernst Nusbaum, brother of my 3x-great-grandfather John Nusbaum. Her life story was intriguing, and I was frustrated that I could not find some closure to her story. 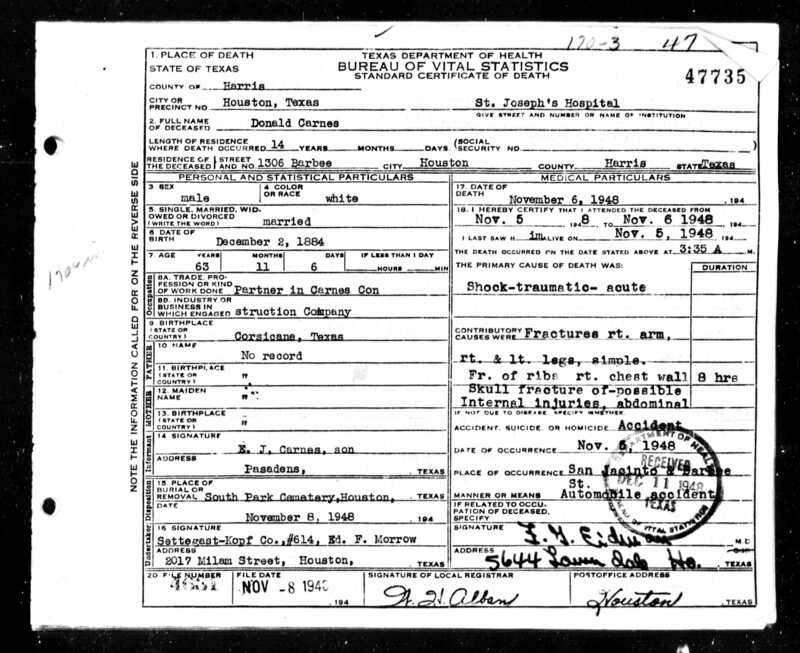 Here’s what I knew: Celina was born in November 1881 in Philadelphia, daughter of Edgar Nusbaum and Viola Barritt. She had married Hamilton Hall Treager Glessner in 1904, and their daughter Marian Glessner was born in 1906. But by 1910, the marriage was over, and Celina had returned with her daughter to her parents’ home. Celina was working as a dress designer, according to the 1910 census. 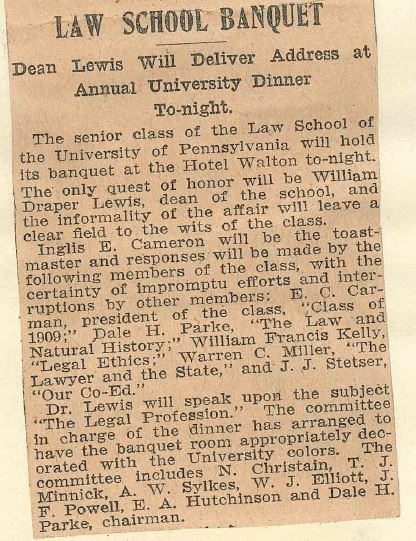 I was able to find Inglis in the 1925 NYC directory as a lawyer in midtown Manhattan, but residing in Philadelphia. Ancestry.com. 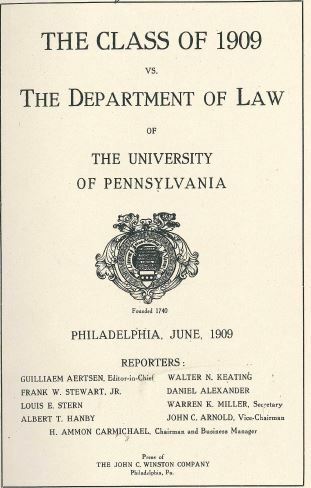 U.S. City Directories, 1822-1989 [database on-line]. I am not quite sure what to make of this article. 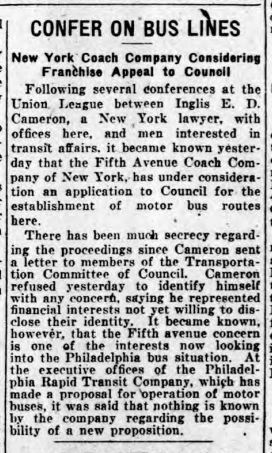 It appears that Inglis was representing a client whose identity he would not or could not reveal, but that the newspaper believed was the Fifth Avenue Coach Company, a New York bus company that was seeking to establish business in Philadelphia. After that, I could not find any trace of any of them; Celina, Inglis, Marian, and Edward James Cameron all seemed to have vanished. I could not find them in any directory nor on either the 1930 or 1940 census. Original data: Texas Department of State Health Services. 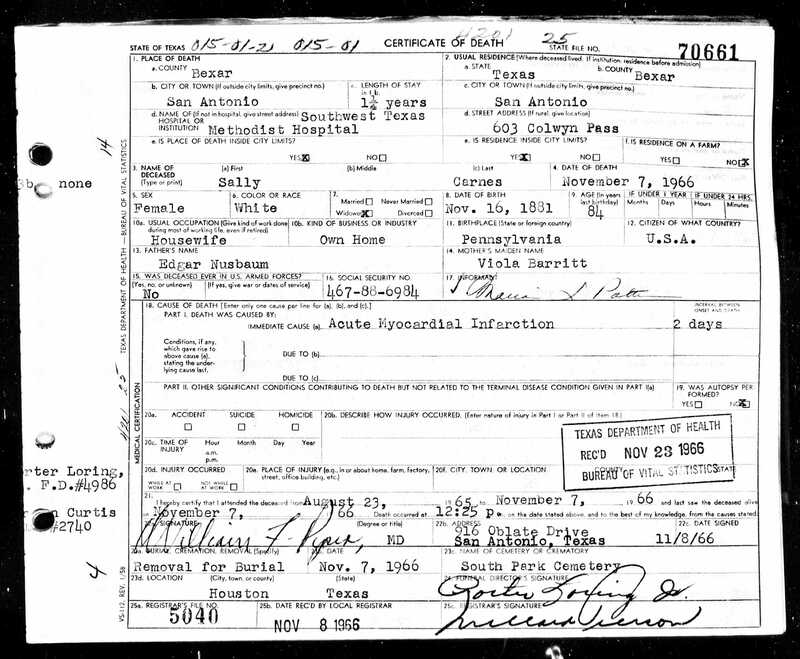 Texas Death Certificates, 1903–1982. iArchives, Orem, Utah. The initials E.J. for E.J. Carnes? To me that had to be Edward James Cameron using a different surname, that of the man I assumed was Celina/Sally’s third husband, Donald Carnes. But I had no further record for Inglis Cameron, no earlier records for Donald Carnes, and no marriage record for Sally and Donald Carnes. There are further details of my search described here in my earlier post, but the bottom line is that I had no definite answers as to what happened to Inglis or how Celina became Sally Carnes and ended up in Houston. Even searching for descendants of Marian Glessner Pattinson led me nowhere. My grandmother, Lena Claire Nusbaum (as listed on my father’s death certificate) or Sally Carnes, was a dressmaker. She had a knack for making fat women look thin and thin women look shapely. I stayed with her in Houston one summer for about a week, and she had dress forms, patterns she was making, and wedding dresses in the works. Mother (Margaret Hannah Barnes Carnes) told us that Sally had the patent on the metal slider that adjusts bra straps. 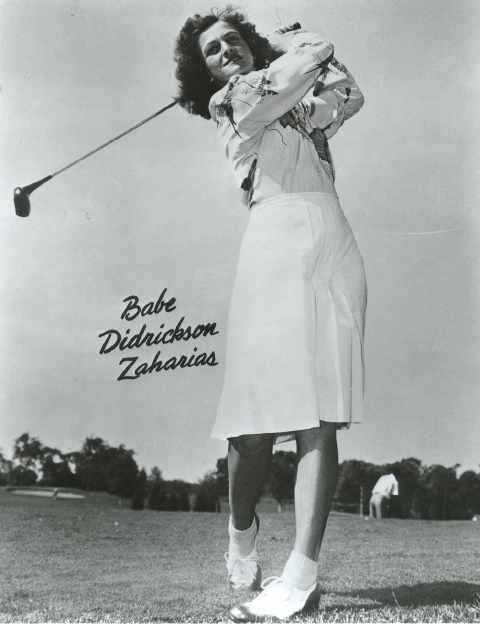 She also designed a slip for Babe Didrikson Zaharias for golfing, called the “super-stride.” Mom and dad said that Sally Carnes had a line of clothing called, “Sally Smart” and four dress factories in Philadelphia lost during the depression. Sally also owned a Russian Tea Room. We don’t have any documentation to support these stories. This invention relates to women’s garments, more particularly garments combining a bodice and skirt. 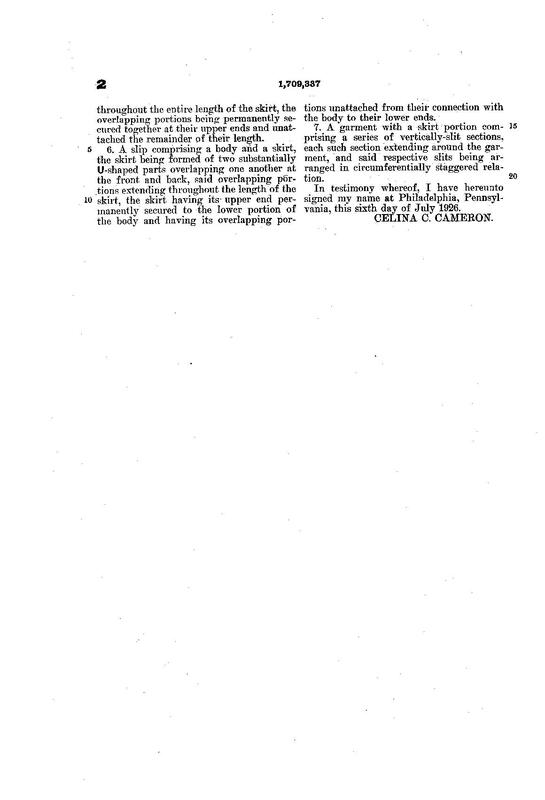 In connection with garments embodying the general characteristics mentioned, I seek to retain all the advantages of the skirt as considered from the esthetic standpoint, and yet afford the wearer the utmost comfort with regard to freedom of leg movement 0 without entailing exposure within the confines of the skirt. This invention relates to garments of the negligee class and of a type intended more particularly for women. 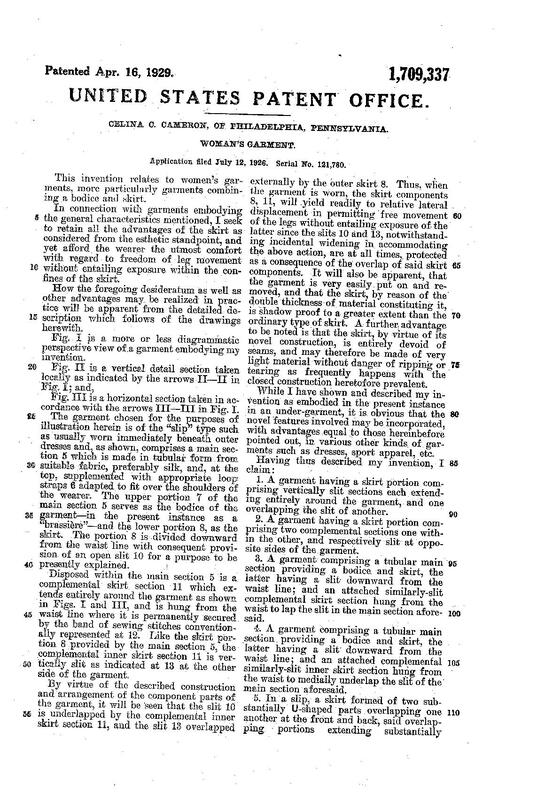 The object of my invention is to provide a slip-on garment of the kind referred to which is simple in design, yet highly attractive in appearance; which is easily and quickly put on or taken ‘off and which ordinarily affords complete protection, but when desired permits the back of the wearer to be exposed for sun or heat treatment to the exclusion of all other parts of the body. Perhaps this was the slip designed for Babe Didrikson Zacharias? 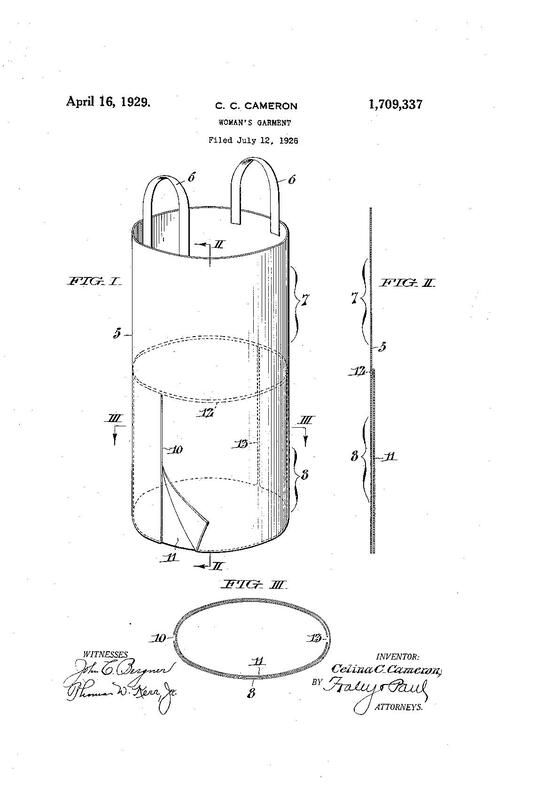 The third patent issued to Celina Cameron, No. 1834331, was for a modification to the first invention so that it could be reversible. 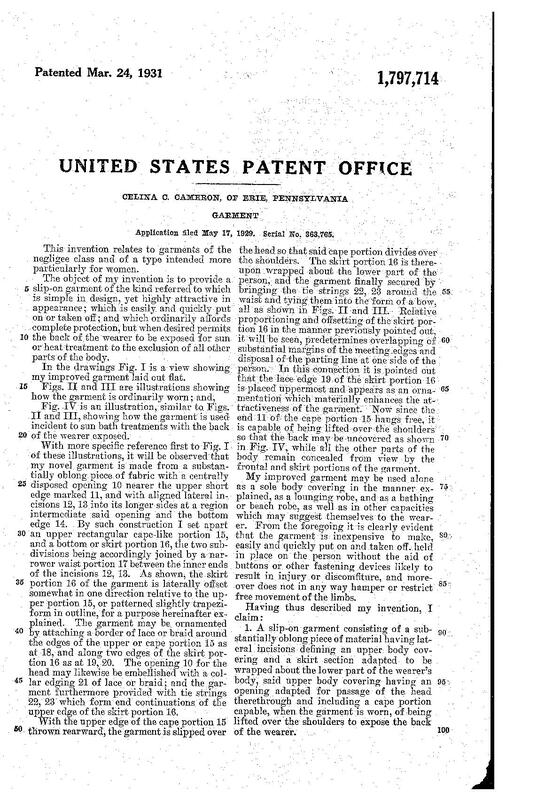 That patent application was filed on February 19, 1930, and the patent issued on December 1, 1931. 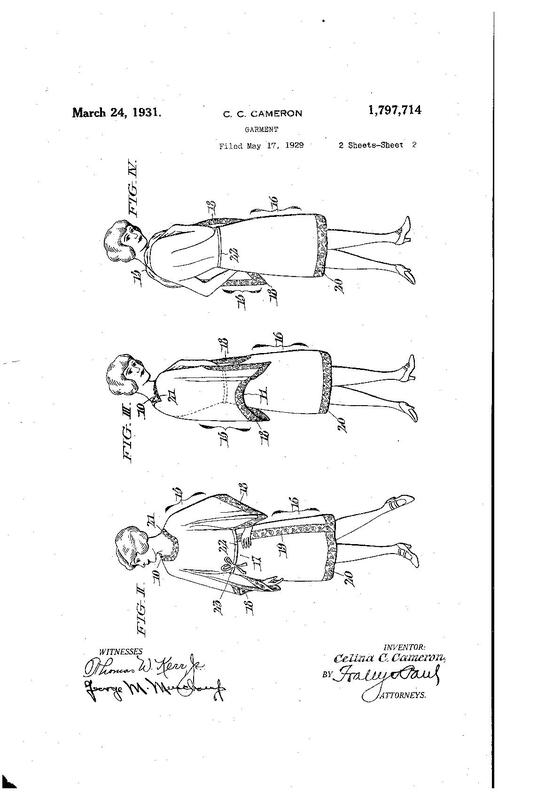 So although I did not find a patent for a bra strap slider, there certainly was truth to the family story that Celina had patented some of her clothing designs. 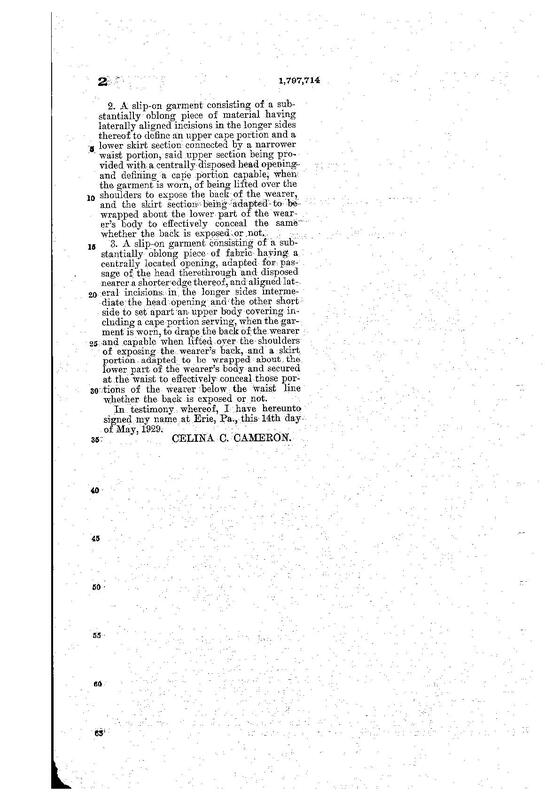 And from the dates on these patents, I knew that at least until 1930 when she applied for the third patent, Celina was still using the name Celina Cameron. As for the four dress factories, I found two possible companies. The first was Cameo Dress Company, which Inglis listed as his company on his World War I draft registration in September, 1918. When I Googled this company, however, I found that the company had been incorporated on February 27, 1918, by Edgar Nusbaum, Celina’s father. 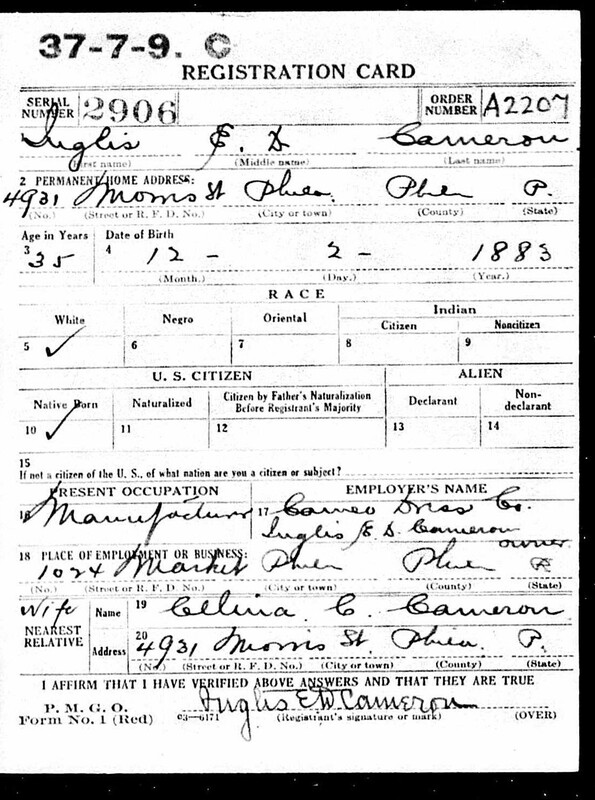 Edgar had for many years worked as a clerk for the railroad, not as a manufacturer. I assume that he incorporated this business for his daughter Celina, who had listed her occupation in 1910 as a dress designer. 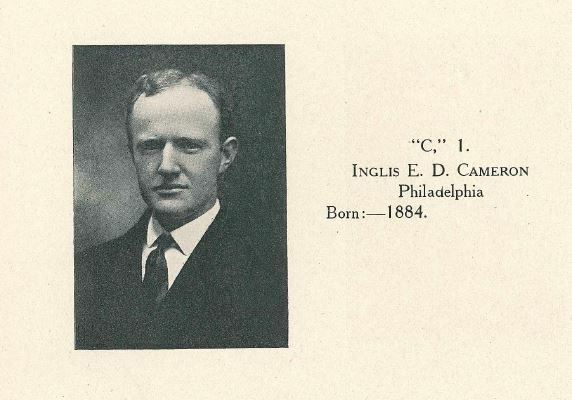 Although Inglis had been working as a lawyer as of the taking of the 1920 census, in the 1921 Philadelphia directory his listing simply says Cameo Dress Company. But Cameo Dress Company ran into some bad luck. 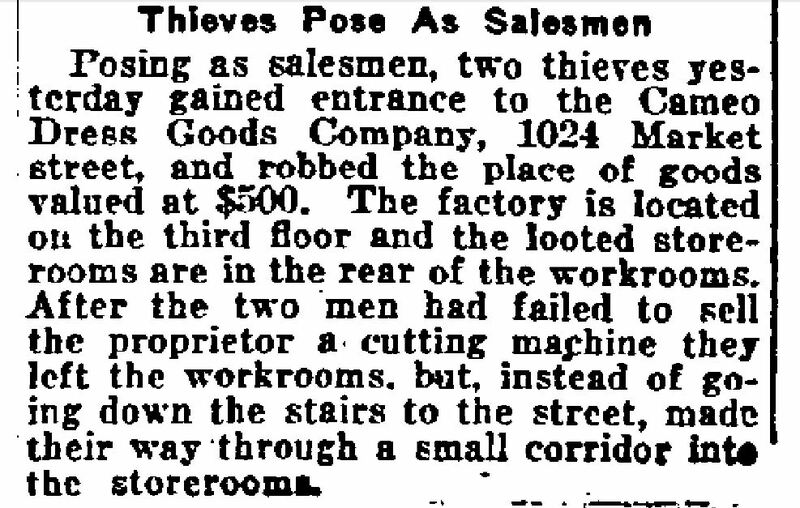 The company fell victim to thieves at least twice in the spring of 1921, and then suffered a devastating fire in 1922. 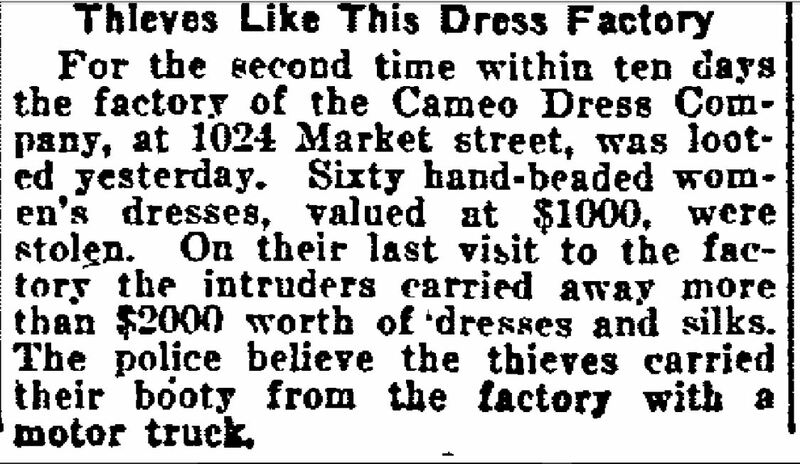 This article made reference to a theft ten days earlier, so it seems that Cameo Dress was subjected to (at least) three thefts in the spring of 1921. Was this really all just bad luck? 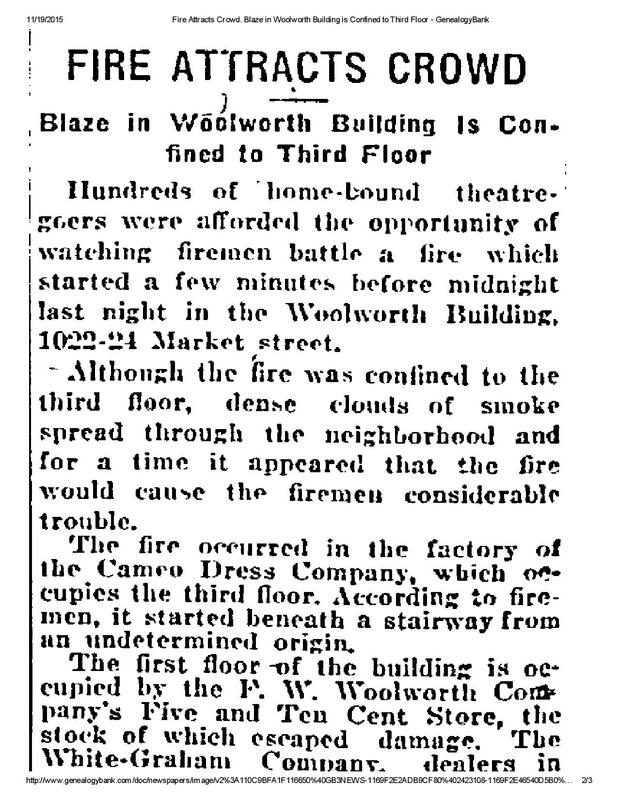 The article about the fire notes that it “started beneath a stairway from an undetermined origin.” Was someone targeting Cameo Dress Company? 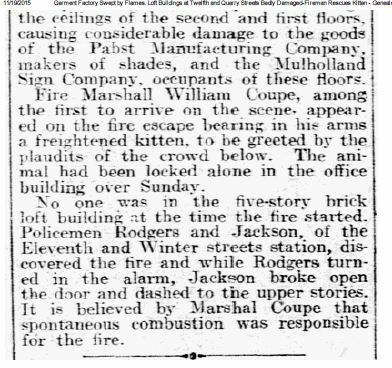 Although I have not yet found anything else about Mayfair Manufacturing Company, I did find it rather strange that another company owned by Inglis Cameron had been damaged by a fire. As with Cameo Dress, it was a company occupying the third floor of a building. 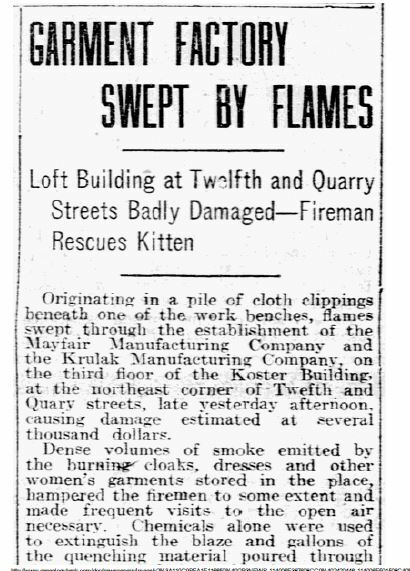 That time the fire department had opined that it could have been spontaneous combustion—dirty rags, I suppose. I did not find any documenation for a Sally Smart line of clothing or for a Russian tea room owned by Celina, the last two stories Tracy had shared in her comment about her grandmother . But what Tracy and I were really interested in was why her grandmother Celina and her father Edward James had moved to Texas and changed their names to Cameron. Tracy said that her father, Edward James Cameron/Carnes, had died in 1984 and that she had known that he had died with a secret, but not what it was. Then about 20 years ago, Tracy and her brother received a phone call from an old friend of their father who shared what he knew. Tracy sent me the notes she and her brother had saved from that phone conversation. That led me down yet another research path. This entry was posted in Genealogy, Nusbaum, Pennsylvania, Philadelphia and tagged cameron, carnes, fires, Houston, lawyers, Nusbaum, patents, Philadelphia, stock fraud by Amy. Bookmark the permalink. What a fascinating story! I can’t wait to read Part 2! Question: I don’t seem to be getting your blog posts by email like I used to—did something change? I went to the site and don’t see a place to subscribe except by Feedly, and I rarely check that so it’s not effective for me. Thanks! Nothing has changed on my blog that I know of, but WordPress took down my site counter and the contact form wasn’t working correctly. Maybe that affected the email subscriptions. I will check. Thanks! I miss reading it. Sorry! It was getting too long, and I still have some fine tuning on Part II. I won’t keep you hanging for too long. 🙂 Thanks for reading! No problem Amy. I overlooked the Part I part of the title. You’re welcome. I love a mystery! Cannot wait to see what happen. Were they running from insurance investigators? Well, I will share the details, and then I will be interested in what others think was going on! Thanks for reading. Wow – great story. Can,t wait to read the rest. Thanks, Leslie! I look forward to your input. I found your blog on the Texas Genealogy Network and I’m hooked! I’m looking forward to the next Carnes/Cameron installment, thank you! Thank you! I am delighted that you have joined me in these crazy genealogy adventures! What a intriguing story! Can’t wait to read part 2. I loved the details about Celina’s patents–so interesting. Glad you enjoyed the patents! I taught copyright and trademark for many years, but was always also interested in patents so found this a lot of fun. Genealogy leads us down so many interesting paths!